Any of those lines run through your head recently? Today maybe? How do you actually pull all of the pieces together, sell people into your program and NOT lose your mind in the process? First the good news… a profitable and (almost) stress-free launch IS totally possible! But, it’s not quite as easy as those hammock swinging peeps would have you believe. At least not when you are first starting out. 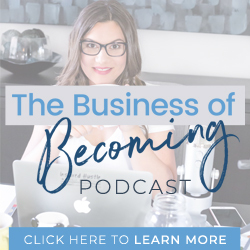 Recently, I connected with Sara Best, RHN who just crushed her last launch goals to pull back the curtain and look at what it really takes to pull off a 5-figure online launch. It’s not magic, it’s a system. If you do the work… it works. But it takes time, patience, and a whole lot of perseverance and resilience too! Sara got really candid about some of the ups and downs she experienced when she was first starting out and had those thoughts we’ve all experienced at one time or another – “Is this ever going to actually work?” She shared that things really started to shift and the “selling” got easier when she began focusing on being of service and really truly listening to what those in her community were asking for, instead of trying to force what she thought they needed on them. And yes, don’t worry… we also get into the nitty gritty of what Sara’s last launch looked like so if you have questions like – how many emails should I send? what should they say? what should I charge? We talk about all of it (HINT: some of those details may not matter as much as you think they do ~ at least not at first). This might be one that you bookmark and come back to a few times over as you prep your own launch plan. Let us know in the comments below what a-ha moments or insights you gain from this discussion. What will you implement into your next launch?